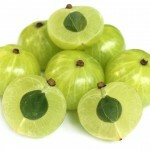 Amla is also known as the Indian gooseberry. It has amazing qualities and that is why it is used in the beauty care and traditional medicine – Ayurveda. 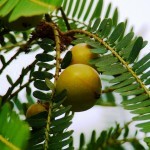 Most women use amla in hair and scalp care. Will you become another fan of amla? You might know oils that can successfully replace amla. See it for yourself. 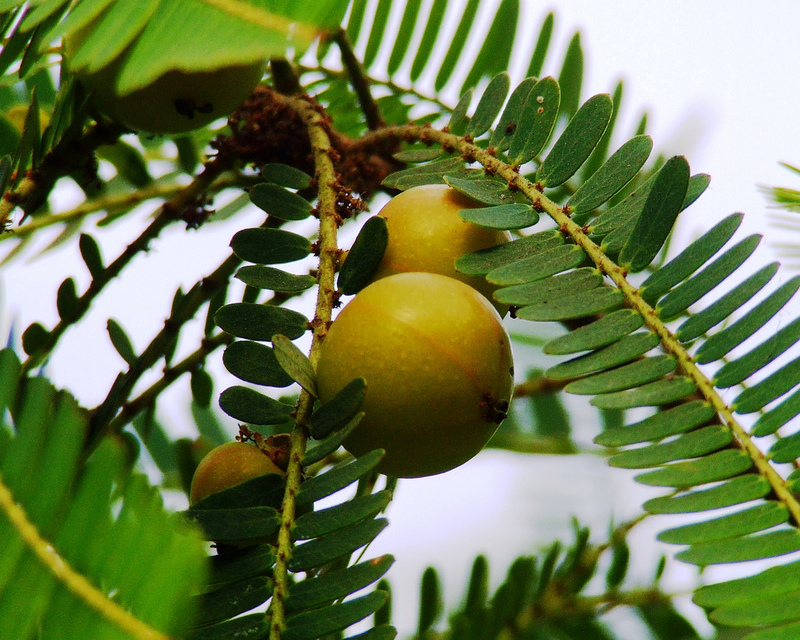 The oil extracted from amla fruit is common in scalp and hair treatments. You can find it in Indian Dabur Vatika products that have a characteristic aroma and colour. The scent will not appeal to every woman. 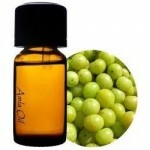 That is why amla oils are usually perfumed with other oils or fragrances. How do these products work? You usually apply them directly to the scalp or to the hair for smoothing the strands and adding shine. Amla fights dandruff, soothes irritation, stops hair loss and slows down ageing processes of the scalp. It delivers elasticity, lustre and softness. How to use amla oil? It is applied to the scalp and hair 60 minutes before washing. Next, it is thoroughly washed off. Feel free to use the product two or three times a week for better effects. Oils that can replace amla – you must check it! If you’re not fond of exotic aromas of Indian herbs and greenish colour of amla oil, you can try out oils that offer the same or even better effects. What are these? 1. Castor Oil. Everybody knows it. Castor oil is applied both to the scalp and strands. Its main task is reinforcing hair bulbs and hair. This is how the oil stops hair loss and makes hair grow thicker and longer. Castor oil stimulates growth, boosts volume and prevents balding. The product must be rubbed in the scalp if it is supposed to bring the effects. The massage enhances blood flow and gives you a moment of relaxation. 2. Argan Oil. It is known as the liquid gold of Morocco. Many women find it the best scalp and hair care product. Argan oil conditions and beautifies the hair. It makes the strands shinier and softer yet the most important task of argan oil is its antioxidant action – fighting free radicals. These substances have a negative influence on the human body, causing quicker ageing and hair loss. Free radicals make the hair weak and prone to damage. Thanks to vitamin E, argan oil effectively reduces free radicals, reinforces hair, prevents premature hair loss and greying. 3. Pine Oil. This oil can be used instead of amla as well. Why? Pine oil has healing and conditioning properties. It soothes scalp irritation caused by improper products or regular colouring and bleaching. Besides, it reduces micro-organisms responsible for the occurrence of dandruff or other scalp conditions. Pine oil controls the work of sebaceous glands and lowers sebum secretion. 4. Avocado Oil. It beautifies your hairdo and nourishes the scalp, delivers a natural shine, smooths static strands, tames unruly flyaways and eases styling. It can be used as a finishing and shine-boosting product that keeps the hair colour from fading. It provides the scalp with lots of vitamins, minerals and fatty acids. 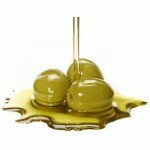 Vegetable oils – for example, avocado, argan, pine and castor – can be found in lots of scalp and hair products. Which of the cosmetics will prove to be the best for you? Who is the oil for? Nanoil For Low Porosity Hair is recommended for those who have greasy roots yet dry hair ends. Both men and women can use it. Nanoil Hair Oil also works for hair that lacks volume, repels moisture and dries slowly. What are the benefits of using Nanoil For Low Porosity Hair? The cosmetic intensifies the colour of your hair, brings out its natural shine and reduces frizz and static. Combing and styling are easier after using Nanoil. What is more, the product improves the condition of the hair, nourishes hair follicles ad boosts hair volume. Natural oils contained in Nanoil (e.g. Pine Oil, Castor Oil, Argan Oil) provide your hair and scalp with lots of valuable vitamins and fatty acids. Usage. Apply Nanoil to dry or wet hair, to the lengths or ends. You can also mix it with other hair products. Use Nanoil for nourishing hair bulbs and scalp. Apply it after every hair washing or several times a day. Who is the oil for? This version of Nanoil Hair Oil is dedicated for very damaged, over-processed and dull hair. If you keep straightening, colouring or blow-drying your hair, the product comes in useful. It will make your hairdo get back its shine as well as healthy and beautiful appearance. What are the benefits of using Nanoil For High Porosity Hair? Thanks to the content of Avocado Oil, the cosmetic delivers natural gloss, smooths the outer layer of the hair and adds softness. The other oils are responsible for hair repair, strength and nourishment. During Nanoil treatment, your hair will become less prone to damage, easier to style. Harmful external factors won’t weaken its condition. Usage. You apply Nanoil Hair Oil before or after washing your hair. You can apply it exclusively to hair ends or throughout the length. Use the oil as a separate product or add it to a mask or conditioner to make them more effective. Interestingly, men can use Nanoil for moustache care. Who is the conditioner for? 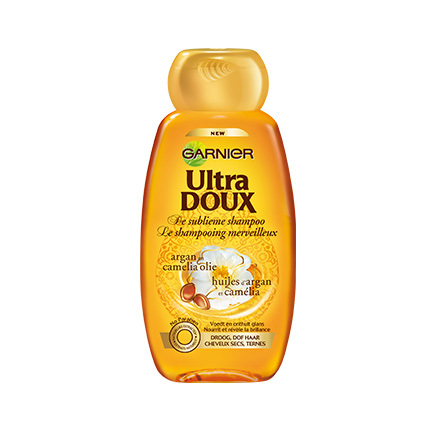 Garnier Ultra Doux works for you if your hair is dry and damaged. It will surely come in useful for girls who often heat-style and like to have their strands coloured. Karite Butter and Avocado Oil will make your hairdo beautiful again. What are the benefits of using Garnier Ultra Doux? The cosmetic provides your scalp and strands with hydration and nutrients. It makes hair soft to the touch, smooth and easy to style and comb. The product works great when added to oils and masks. Garnier Ultra Doux has a pleasant and sweet aroma that lasts long. Usage. If you leave Garnier Ultra Doux in hair for about 30 minutes, you will notice the best effects. Remember to apply more to the ends. Next, thoroughly wash your hair and blow-dry. Who is the fluid for? Amargan Advanced Styler is recommended for unruly, static and frizzy strands that resist styling. Thanks to Argan Oil, your hair will be smoother and luminous. What are the benefits of using Amargan Advanced Styler? Argan Oil, contained in the product, fights free radicals, keeps hair from falling out and prevents premature aging of the scalp. Keratin is another ingredient of the fluid. The substance repairs weak strands and rebuilds the internal hair structure. What is more, Amargan Advanced Styler reduces frizz, smooths your hair and tames unruly strands. It may prove helpful when you heat-style your hair. Usage. You apply Amargan Advanced Styler to damp hair. Comb out the strands to cover all of them. Then, you can blow-dry your hair and style as always.